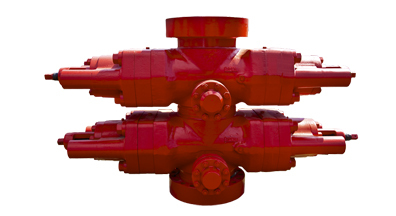 AXON’s Type 50 Blowout Preventer (BOP) is designed to provide a fast and reliable closure of the well bore during drilling operations. Its simple, compact design makes it well-suited both subsea and surface drilling operations. Moreover, the one-piece Type 50 Ram assembly provides a pressure-energized seal with maximum contact area to the drill pipe, casing, or tubing. This ensures a lower rubber pressure to the pipe and increased seal life.